Antonov An-2S c/n 178(473)02 was delivered as '888' to the NVA (East German Air Force) and noted first in service on 10 May 1958. On 30 July 1990, the aircraft was registered DDR-SKL with Interflug/Agrarflug in the DDR as an Antonov An-2S, however it is in fact an Antonov An-2T. On 1 September 1990, the Antonov was transferred to Flug Service Berlin and registered D-FONL in Germany. In October 1991, Antonov D-FONL was transferred to Classic Air Berlin. In 1996, Ruppiner Air Service became the next operator of An-2S D-FONL. The aircraft was registered with it present owner, Classic Wings, on 3 June 2001. 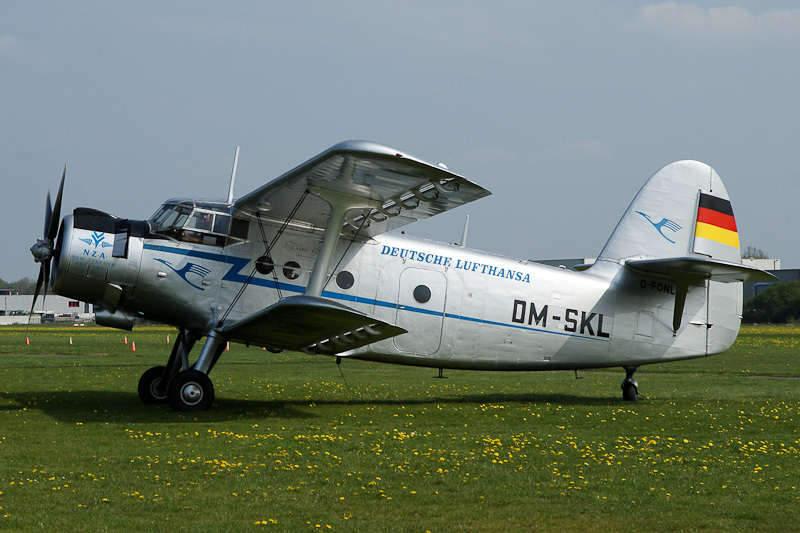 Today, Antonov D-FONL is painted in Deutsche Lufthansa colours, including registration DM-SKL.